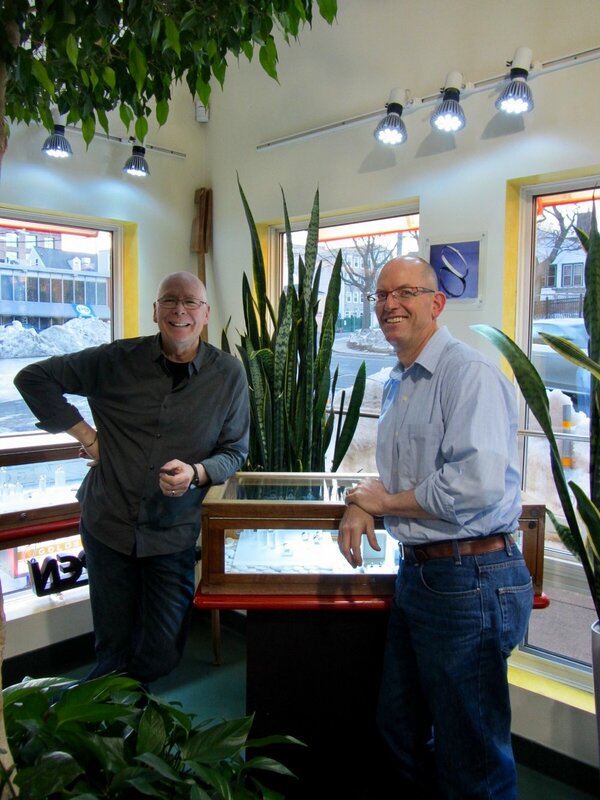 Our studio workshop is located in the heart of downtown Halifax, allowing clients to browse finished pieces of jewellery in the showcases, and observe our creative process. We work with our customers to create pieces that will be enjoyed for many years. Our process is simple. We encourage customers to browse our current inventory and photos of past work to better understand our style. Once we have an understanding of your requirements, we will discuss materials and hand carve a wax model. We use the lost wax casting process for much of our work and the model stage gives you the opportunity to see and handle the piece before we move to metal. At this point we may also make changes to the design and fix a price for your piece. Once we have your approval, we will cast the piece in metal, finish, and set any gemstones. You will then be called when your piece is ready to be picked up or sent to you. We do not rhodium plate our white gold, although this is common practice for most manufactured white gold jewellery. Instead, we prefer to use a very high quality white gold alloy to achieve excellent colour. Most diamonds that we use are Canadian and almost exclusively selected for their Ideal cut. At Jewellery Design Studio all pieces are designed and built by us in the studio. Our wish is to provide you with an excellent customer service experience and present a beautiful piece of jewellery that will bring you happiness for many years. We invite you to contact us to begin your design journey today.